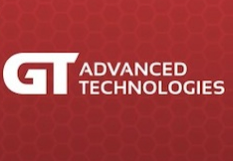 GT Advanced Technologies, a U.S.-based company Apple’s partnered with on mass-scale sapphire manufacture in its new Mesa, Arizona facility, today released earnings for the 2013 holiday quarter and said that 2014 will be a “transformational” year for the company. Plans to supply sapphire glass to Apple are “progressing well” as GT expects a very profitable second half of 2014. Tom Gutierrez, GT’s president and CEO, said his company expects to “return to profitability during the second half of 2014” as the “anticipated growth trajectory of our business remains unchanged”. 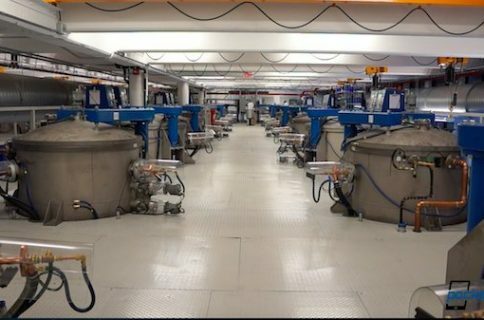 “Our arrangement to supply sapphire materials to Apple is progressing well and we started to build out the facility in Arizona and staff the operation during the quarter,” said Gutierrez. “We are pleased to have Apple as a sapphire customer and to be in a position to leverage our proprietary know-how to enable the supply of this versatile material. While our primary focus during the balance of the year is to continue to execute on our commitments in Arizona, our aim is to position GT not only as an exceptional sapphire supplier to Apple but also as an unparalleled world-class supplier of sapphire material and equipment to a variety of customers. It’s been estimated that the Apple deal could boost GT’s 2014 revenue fifteen times. Specifically, GT’s sapphire business accounted for about $28.9 million in revenue, or eleven percent of its year-to-date sales, as of last November. At the time, GT’s 2014 forecast called for $600 million to $800 million in revenue, with 80 percent of those sales attributable to its sapphire business. The company expects that 2014 will be a transformational year, one in which it builds a sapphire materials business while continuing to invest in the new technologies that will drive its equipment business in 2015 and beyond. The company expects that revenue and profitability will be back end loaded, with its sapphire materials business ramping as the year progresses, and with improving financial performance during the second half of 2014. On an annualized basis, during 2014, the company expects revenues to range from $600 million to $800 million, with approximately 15% of total revenues occurring in the first half of the year. The company expects that its sapphire segment will account for more than 80% of total revenue in 2014. The sapphire segment includes the company’s equipment and materials businesses in the LED, industrial and consumer electronics markets. They are already thinking beyond Apple. Although we have significant opportunities in sapphire, the GT story is not only about our emerging sapphire materials business. In fact, our entry into sapphire materials may enable us to expand into other materials segments once we have fully ramped the operation in Arizona. The many diversification and investment seeds we have planted over the last several years in the LED, power electronics, advanced solar and industrial markets are expected to begin to bear fruit over the next 18 months. We are seeing significant interest in our new products and now expect equipment orders from these initiatives to be received during the latter part of 2014, with meaningful revenue recognition beginning in early 2015. Apple prepaid $578 million to GT for cutting-edge furnaces and equipment for the Mesa sapphire plant, with GT paying back this sum over five years beginning in 2015. The agreement does not guarantee volumes, but does require GT to maintain a minimum level of capacity. It’s been speculated that Apple secured three year’s worth of sapphire glass supply. Here’s a video overview of GT’s sapphire-making tech. The deal is subject to “certain exclusivity terms,” as per GT’s November statement. Although GT expects its contract with Apple to be cash positive, it warned that gross margins will be “substantially lower than GT’s historical equipment margins”. The facility, which will use 100 percent renewable energy, should produce an estimated 100-200 million units of sapphire laminates typically used to strengthen cover glass. Taiwan’s Apple Daily recently reported that Foxconn had started trial production of the next iPhone. 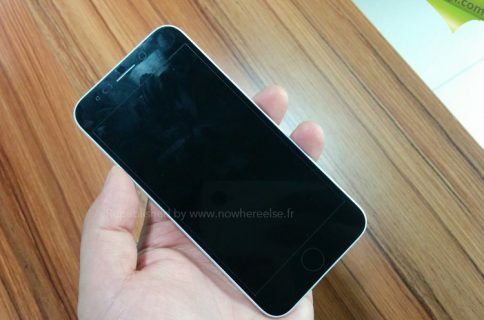 The device is said to use sapphire as a display glass cover. iPhablet to be pricey due to costly sapphire screen?